Maybe it's the latin temperament that provokes Spanish speaking golfers to have a go at left-wing politicians. 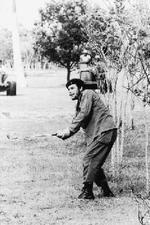 Fidel Castro and Che Guevara play a roundAt the Seve Trophy we had Gonzalo Fernandez Castaño attacking the Spanish Primer Minister over his economic policies. Now Colombia's Camilo Villegas has left us in no doubt about his less than glowing opinion of the controversial Venezuelan President, Hugo Chávez. "I don't get into politics, but I've no problem with you publishing this," Villegas told tengolf.com. "That man is 100 percent crazy and everyone knows it." Che smokes oneTo say that Chávez is not a golf fan would be a gross understatement. His government plans to close down two of Venezuela's best known courses, bringing the number of closures over the past three years to nine. "Let's leave this clear," Chávez said during a recent live broadcast. 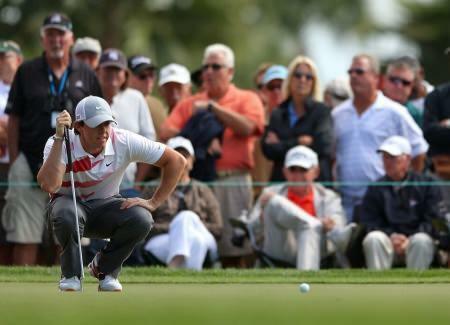 "Golf is a bourgeois sport." According to the Daily Telegraph, "the majority of closures have taken place in oil producing regions and were initially built for Americans who worked in the industry." 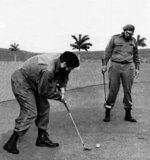 The Telegraph adds that in Cuba, where Fidel Castro and Che Guevara once played a friendly game, "the government is allowing foreign investors to build several new courses as part of a determination to increase tourists revenues." Colombian Camilo Villegas will strut his stuff for charity in the JP McManus Invitational Pro-Am at Adare Manor from July 5-6.